Albert Sena, of Owasso, served in Vietnam as a helicopter door gunner. 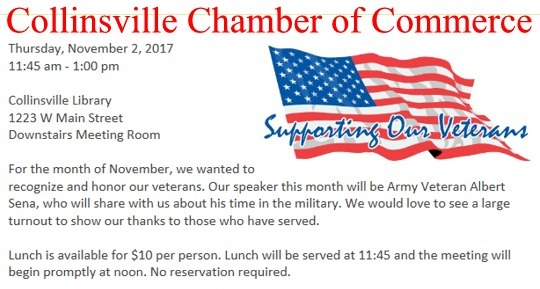 He has turned his photographs from those years in the military into a video which was presented at the Collinsville Chamber of Commerce meeting Nov. 2nd. Collinsville Mayor Bud York (also a veteran) spoke to the Chamber monthly gathering and presented Sena with a medalion to honor his service.